Coming from the company that designed most Ferraris for half a century and built bodies for many of them, a claim of offering the most powerful car from Italy might sound like a jab at its former patron — or a challenge. But more likely, Automobili Pininfarina’s 1,900-horsepower electric hypercar, the Battista, is simply making a statement about the company’s design, engineering and production capability. 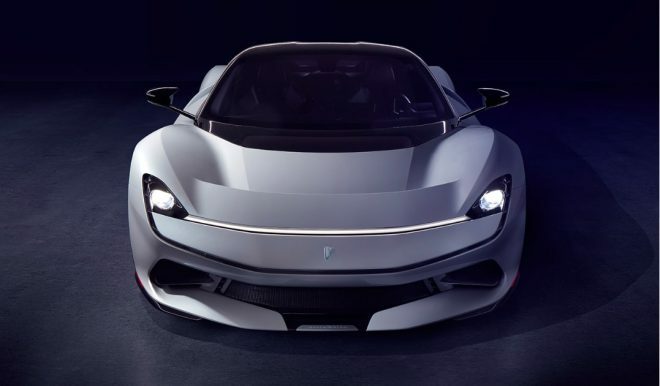 Introduced at this year’s Geneva Auto Show and named for Pininfarina’s founder, Battista Farina, the electric hypercar will be sold in the U.S. The company said it would build just 150 of the $2m+ cars, splitting the allocation three ways between Europe, North America and the rest of the world. As reported in Car & Driver, “more than 65 percent” of the Battistas destined for the U.S. are spoken for. 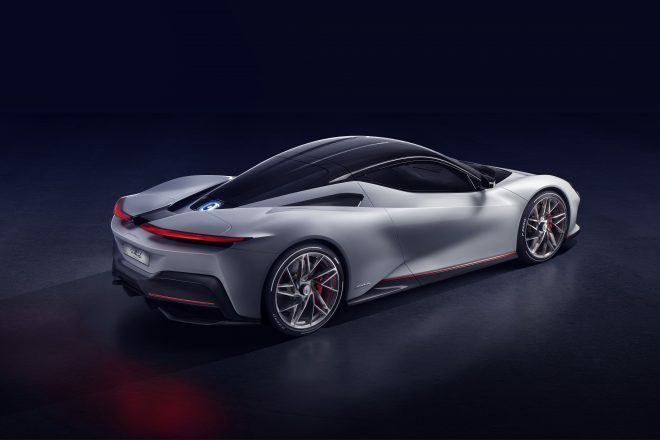 Customers first saw the Pininfarina Battista at private Pebble Beach viewings in 2018 and are expected to take delivery of their cars in 2021. Pininfarina, you may know, became part of India’s Mahindra & Mahindra Ltd. conglomerate in a deal worth about $170m in late 2015. A big chunk of that was in the form of assuming Pininfarina’s debt. The storied design house and coachbuilder continues to operate as an independent company, providing its services to a variety if industries, includingautomotive, boating, architecture and industrial design. In addition to building the Battista under its own name, Pininfarina has contracted with Karma Automotive, the company that emerged from the collapse of the original Fisker Automotive concern, to design new models. One of three Karmas to be unveiled at the Shanghai Auto Show this month will be a concept designed by Pininfarina, which has a design office in Los Angeles, not far from Karma’s U.S. base in Irvine. You may already have seen where the Pininfarina Battista gets its enormous power. Beneath the bodywork that would have made for one heck of a gorgeous Ferrari, the Battista is a mechanical cousin to the Rimac C Two built in Croatia. 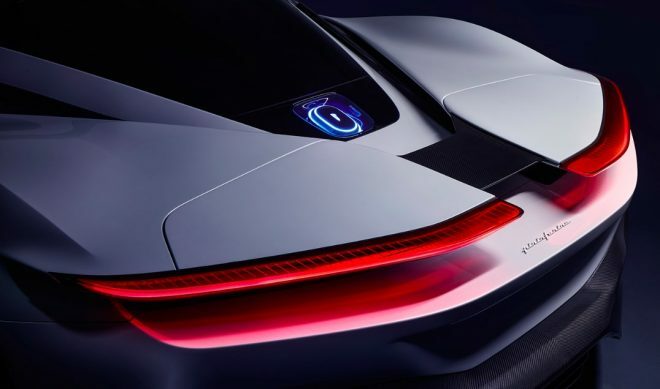 You may also know that Porsche owns a 10-percent stake in Rimac, and that Rimac is helping to engineer the Aston Martin Valkyrie’s hybrid powertrain. Founded in 2009 by Mate Rimac when he was just 20, the company has become a go-to developer for high-performance EV innovation. The Battista shares its basic construction and powertrain with the Rimac. In the Rimac, a 120-kWh battery pack functions as a load-bearing element of the carbon fiber structure. 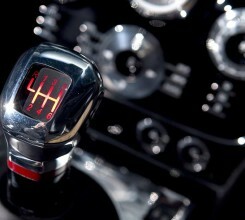 The power goes not to one electric motor, not two electric motors, but rather one for each wheel. Turning 1,900 hp and 1,700 lb-ft of torque into traction should not be a problem. 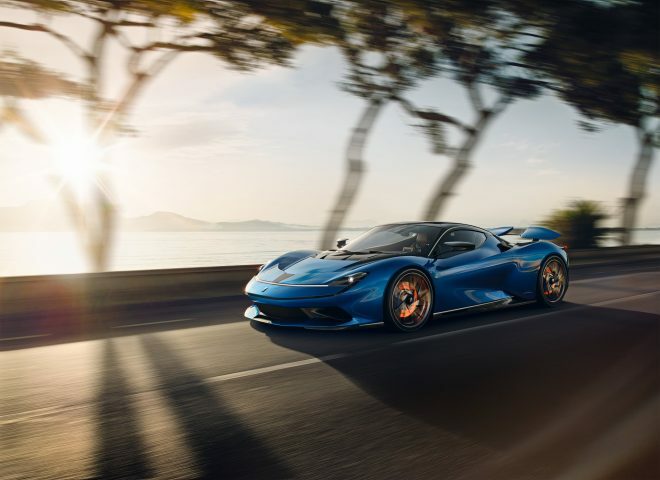 Pininfarina claims 0-60 in under two seconds for the Battista. 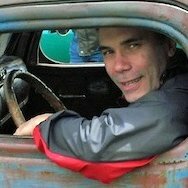 Keep your foot in it, and the Battista should hit 300 km/h (186 mph) in less than 12 seconds and top out at about 217 mph. How far you can drive will depend on how much you dip into the power, but Pininfarina is claiming 280-mile range per full charge. Even if that number comes from the more generous European test cycle, it ought to be enough to have quite an enjoyable afternoon’s drive or track session. Pininfarina optimized the Battista’s aerodynamics, including unique two-piece active rear wing, to accommodate the higher speeds. Despite independent motors for each wheel, the Battista still looks like a mid-engine car. That’s to meet both aerodynamic and weight balance needs, and to also mesh with market expectations of what a hypercar should look like. In the cabin, the look is sports car meets Star Trek. 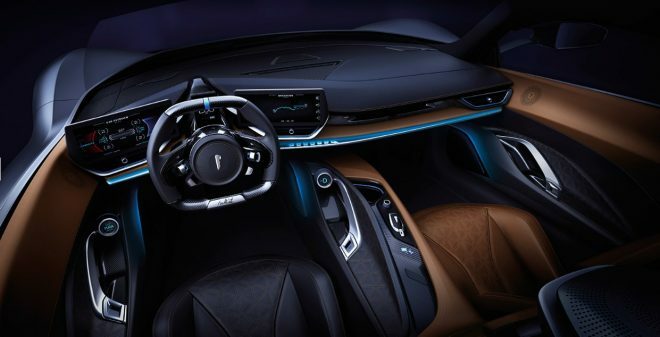 The rectangular steering “wheel,” de rigueur for supercars and hypercars these days, is flanked by display screens, with a third smaller screen in the middle. The rest of the design seems elegantly simple, not a surprise given Pininfarina’s long history with crafting such environments. With the Battista, Pininfarina has also made a powerful statement about the state of the high-performance automobile. The company sees the future – as in now– as electric. Three models planned to follow the Battista will also be EVs, and one might be a sports car with a six-figure price. Combined production could reach 8,000-10,000 per year.